Christmas will soon be here. 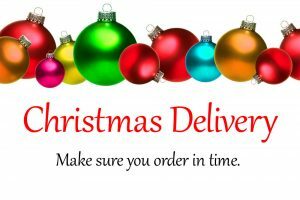 Please place your order early to ensure delivery. We can’t guarantee delivery, but your order and payment must be received before the recommended date listed below. In December we make an extra effort to try and ensure next working day dispatch.